Larry Eagan has been the Regional Manager for the Northeast Region for Magnum Systems since June of 2000. He has lived his entire life in the Greater Kansas City area. His since of humor was forced on him as a way of coping with 9 kids (aged 24-13) and his ongoing frustration of being a die-hard Kansas City Royals and Missouri Tigers fan. He has a Bachelor of Science from the University of Missouri – Columbia and a Master’s Degree from the University of Missouri – Kansa City. 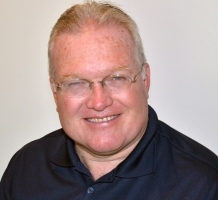 A 23 year veteran of the dry bulk material handling industry, Larry has designed and sold hundreds of conveying, dust collection and packaging systems to customers throughout North America for products ranging from food to industrial minerals.